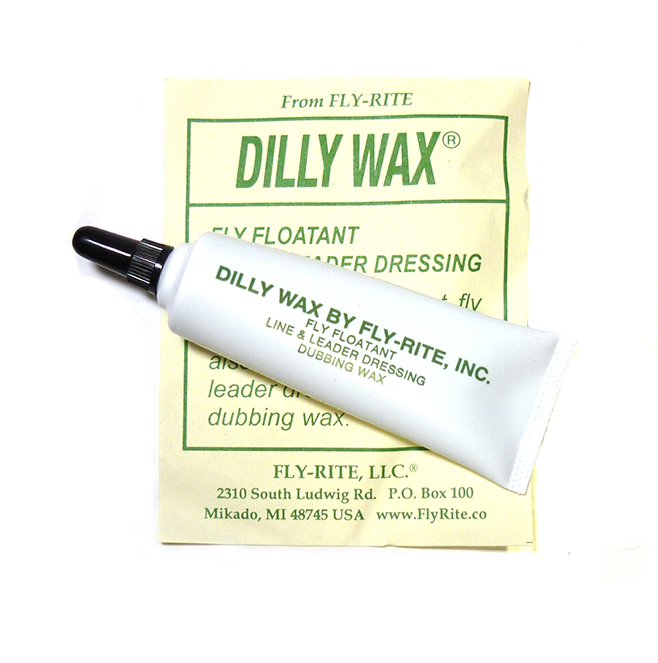 Dilly Wax is the very best and longest-lasting fly floatant available. 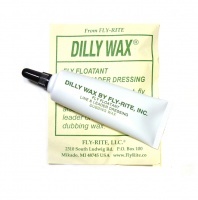 Specially formulated, it liquefies between your fingers for easy application to your fly. It won't wash off in cold water, and once coated, the fly floats perfectly, time after time. Also works great as a line/leader dressing. Easy to apply from a neat little tube.